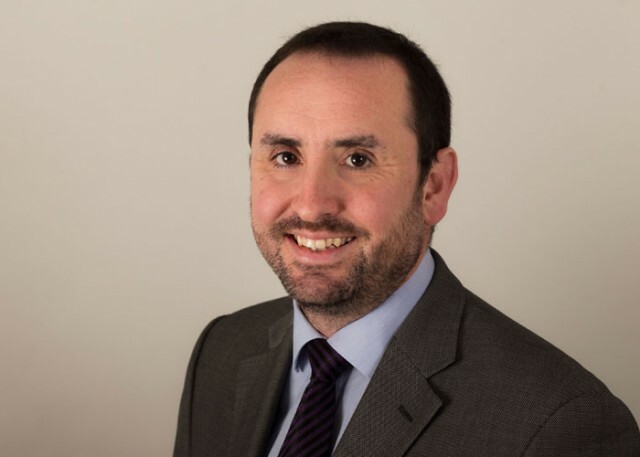 "His manner with clients is superb, leaving the client in no doubt that their case is very important to him"
Stephen's practice consists predominantly of high-value Personal Injury litigation, Fatal Accidents and Clinical Negligence. He also practices in the areas of Costs and Human Rights. He has extensive expertise in catastrophic injury work and dealing with complex multi-trauma claims, spinal injuries, head injuries and chronic pain cases. He has particular experience of cases involving ‘non-organic’ symptoms following injury (such as CRPS, non-epileptic attack disorder and functional hemiplegia). He is regularly instructed in complex brain injury cases, as a junior or in his own right. His fatal accident case-load includes travel (at home and abroad), diving accidents and RTAs. He can fall back on his vast trial experience in all these areas. In addition, Stephen has accumulated extensive experience in coroners' inquests, all aspects of the law of costs (including solicitor-client assessments) and appears in the Criminal Injuries Compensation Authority. His costs work involves party-party disputes solicitor-client assessments and Court of Protection deputy assessments. The interface between costs and personal injury in his practice makes him ideal for hearings and advice involving costs budgeting and CCMCs. Stephen has experience of Human Rights work in the High Court and Court of Protection in cases concerning unlawful detention and deprivation of liberty, and deaths in secure facilities. Stephen is one of only 30 junior barristers recommended by the Spinal Injuries Associations on its approved list of catastrophic injury barristers. Stephen regularly represents seriously injured Claimants in the High Court and the County Courts. He undertakes CFA work and frequently travels to meet claimants all over the country. He has a wealth of experience in drafting large schedules and is a member of APIL and PIBA. He has extensive experience of drafting, advisory and court work in all aspects of personal injury for Defendants. AB XY v GH XY - Settlement of £1.9M plus PPO of £130,000 for life (capital value £5.89M) approved for claimant who suffered a catastrophic brain injury when, at the age of 10, he was a pillion passenger on a motorcycle. Despite making a reasonable physical recovery, he continues to have intellectual difficulties and displays inappropriate behaviour, requiring 24-hour supervision. Led by Stephen Killalea QC at the settlement meeting but conducted the approval hearing (January 2016). ABC & others v Williams - Settlement of £910,000 approved for the family of a driver killed in a collision with a farm vehicle on a country road. Complex liability arguments. Initially led by Stephen Killalea QC, Stephen conducted the settlement meeting alone (May 2015). Settlement of £150,000 for the widower of a 62-year old man who died in a diving accident. Liability had been denied and issues of contributory negligence were raised. Settlement of £562,000 for a young woman with suspected non-epileptic attack disorder which caused her to black out frequently following a minor head injury (June 2015). Settlement of over £400,000 for a widow in a fatal accident claim following a Road Traffic Accident (June 2015). Settlement of £350,000 against the MIB for a young woman with multiple injuries including a minor brain injury following a multi-party accident with several insurers involved and limitation issues (June 2015). Settlement of £319,200 for multiple lower-limb fractures following an accident at work (liability was initially disputed) – February 2015. Stephen has experience of advising ATE insurers in relation to funding proposals relating to high-value litigation. On the Defendant side, Stephen is heavily involved in fighting fraudulent claims, particularly organised motor fraud cases. Stephen has lectured extensively on the tactics that insurance companies should employ in flushing out fraudulent claims. He also works for the MIB and his work for insurers in fraud and MIB cases has given him awareness of technical and contractual insurance issues. Stephen has a wealth of experience of all aspects of credit hire and was junior counsel for the Defendant in the leading case of W v Veolia. Stephen accepts instructions in solicitors' negligence and all aspects of clinical and dental negligence. He is a member of the PNBA. Stephen also has extensive experience of coroners' inquests including a week-long inquest into a death at work in which he represented an individual wrongly accused by his employers of causing the accident. He has also acted for a coroner who was dealing with 11 suspicious deaths of elderly mentally infirm patients in a hospital. W v Veolia Environmental Services (UK) PLC  EWHC 2020, HHJ Mackie QC - Leading case establishing that the Cancellation of Contracts Made in a Consumer's Home or Place of Work Regulations 2008 apply to credit hire agreements and the effect of subrogation on enforceability. Stephen has ongoing Article 2 cases involving suicides in custody. Reynolds v Stone Rowe Brewer (A Firm)  EWHC 497 (QB) - The effect on a solicitor of giving a series of inaccurate costs estimates to their client. Wilson v William Sturges & Co  16 EG 146 (CS) - The difference between interim statute bills and simple requests for payment by a client of solicitor's fees on account, and the effect of over-charging by the firm. Gordon Dadds v Deborah King (Unreported) December 2014, Central London County Court, HHJ Saggerson – Stephen successfully defended a claim against a client who was being sued by her former solicitors for over £150,000 where the solicitors’ bills were not in the proper format. Stephen is acting in the SCCO for a firm of solicitors who are attempting to recover costs form their commercial client; the client claims that the costs were capped. Stephen has a growing practice in clinical negligence, with a particular emphasis on complex and high-value fatal cases. He regularly deals with claims against hospitals and GPs. Representing the family of a woman who died from an undiagnosed deep vein thrombosis after she was admitted to a specialist mental health unit at a coroner's inquest, with the jury finding multiple causative breaches of duty by the NHS Trust. Acting for the family of a woman with sickle cell syndrome who died in hospital following the birth of her child. Stephen represented the family at the inquest and remains instructed.